Over the years, I’ve made a conscious effort to look at subjects from many different angles and, when possible, I’ve tried to get at least one shot that included a ‘frame’ so, when Nancy suggested this topic for the Weekly Photo Challenge on The Daily Post, I was ready. 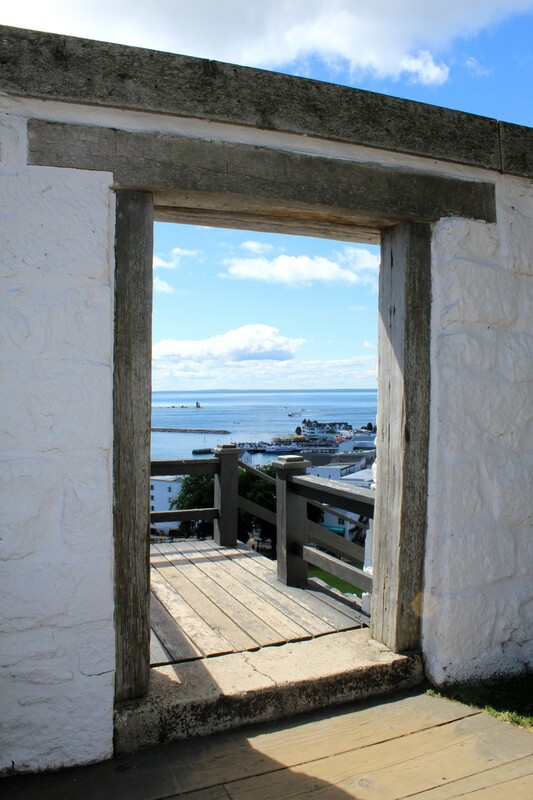 The most recent opportunity came on Mackinac Island when I captured this image of the harbor framed by a doorway at the historic Mackinac Fort. 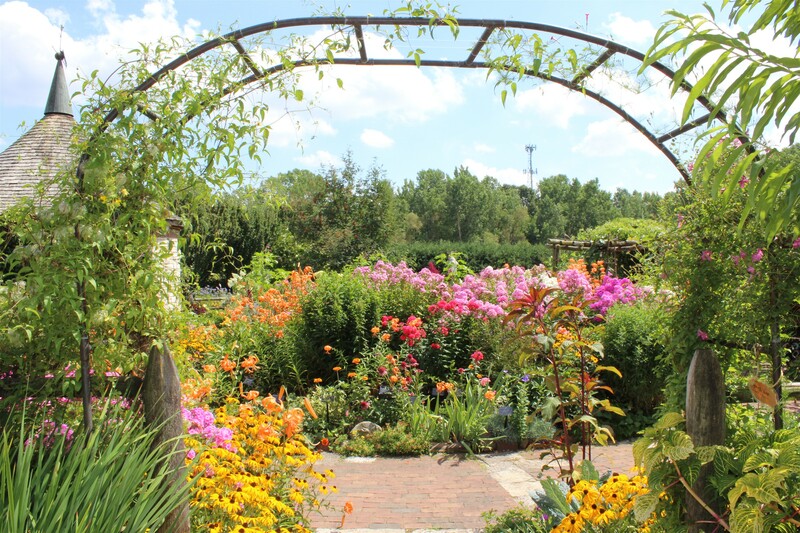 This archway made a nice frame for a colorful flower bed in the Cottage Garden at Green Bay Botanical Garden. 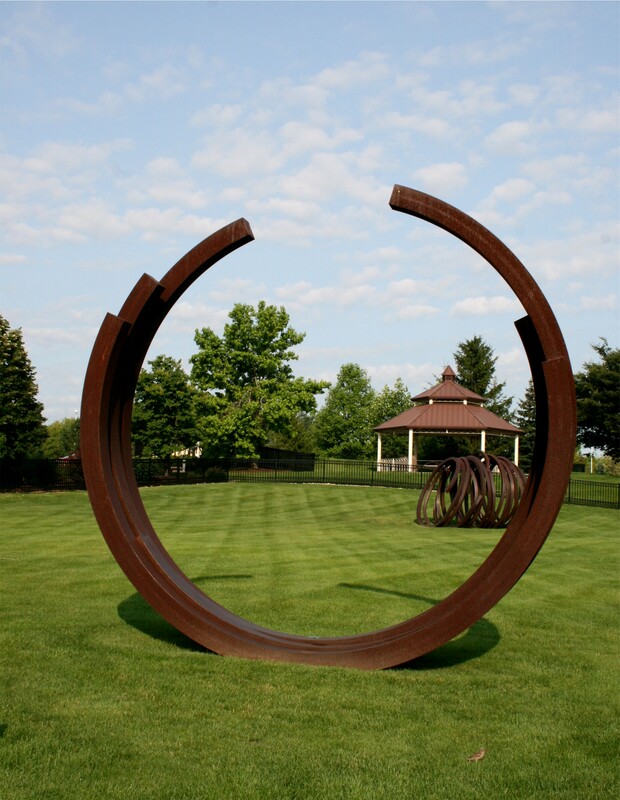 At Frederik Meijer Sculpture Park in Grand Rapids, this piece of ‘artwork’ seemed to make an appropriate frame for a similar sculpture and the gazebo behind it. If I had to take the shot again, I might do it from a slightly different angle but I think at the time I was trying to incorporate the tree on the left. This shot is really one from the archives. 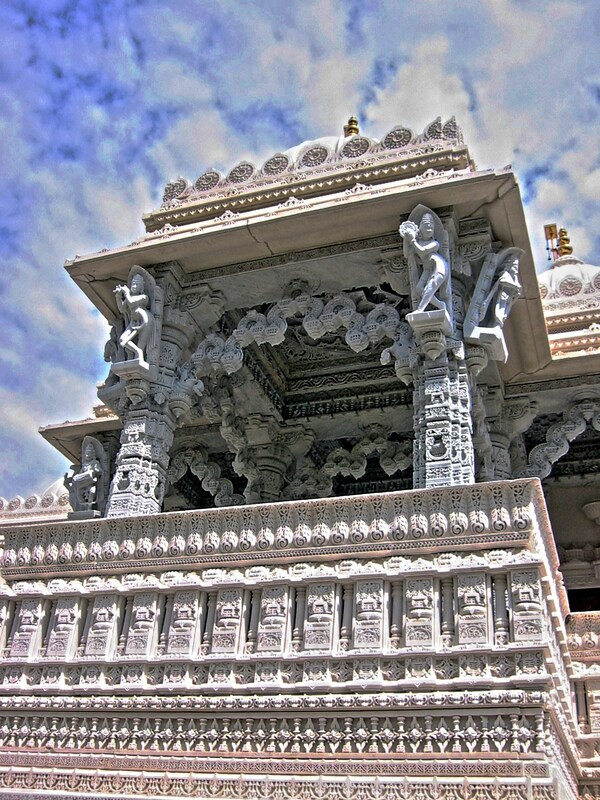 Taken back in 2006 at the BAPS Shri Swaminarayan Temple in Bartlett, just two years after it opened. This week’s Photo Challenge set by Ben Huberman at The Daily Post calls for something ornate and there was no problem coming up with some images that I thought would fit the bill exactly. 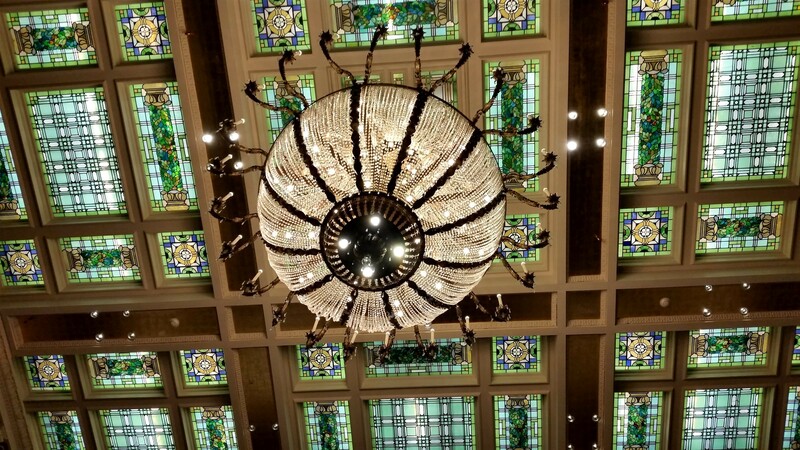 Ornate stained-glass ceiling panels with brilliant cut-glass chandeliers overlook the lobby of the Joseph Smith Memorial Building in Temple Square, Salt Lake City. 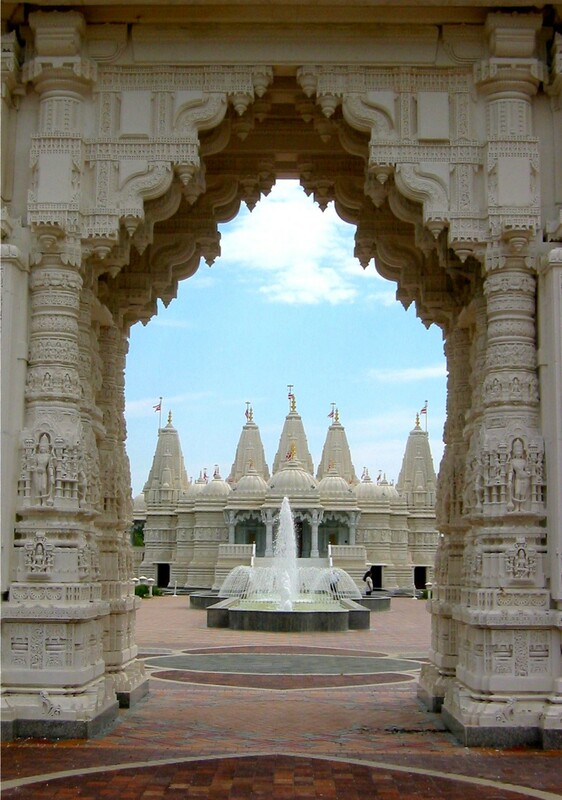 Exquisitely hand-carved walls of Italian marble and Turkish limestone at the BAPS Shri Swaminarayan Mandir in Bartlett, Illinois. 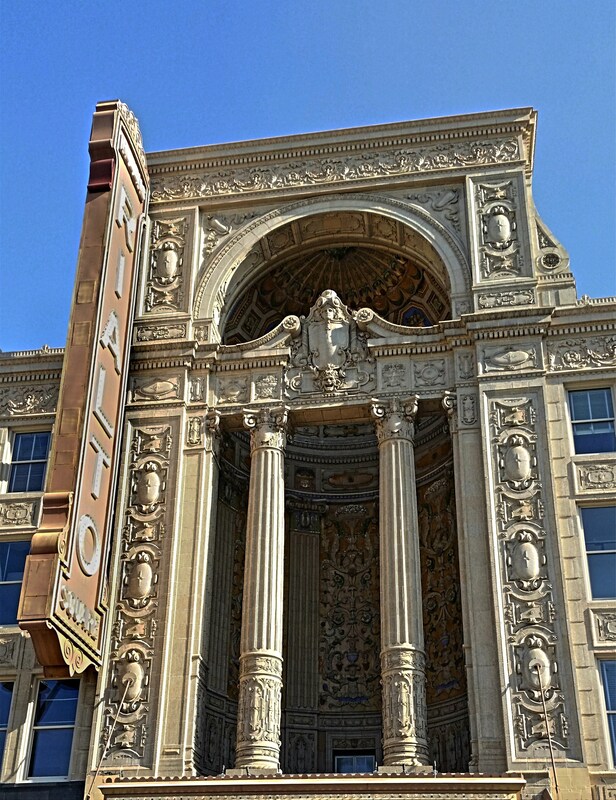 Elaborate exterior of the Rialto Theater in downtown Joliet.